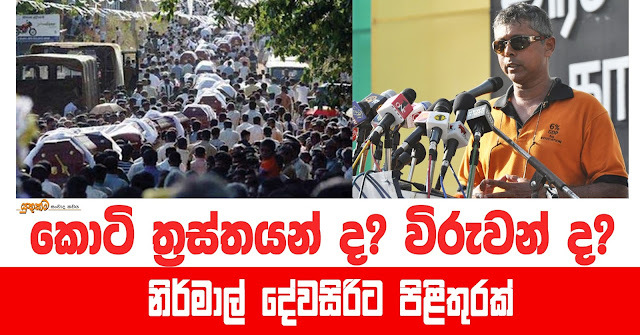 ආචාර්‍ය නිර්මාල් අපෙන් ප්‍රශ්න කරන්නේ ත්‍රස්තවාදීන් හා විරුවන් අතර වෙනස කුමක්ද යන්නයි. 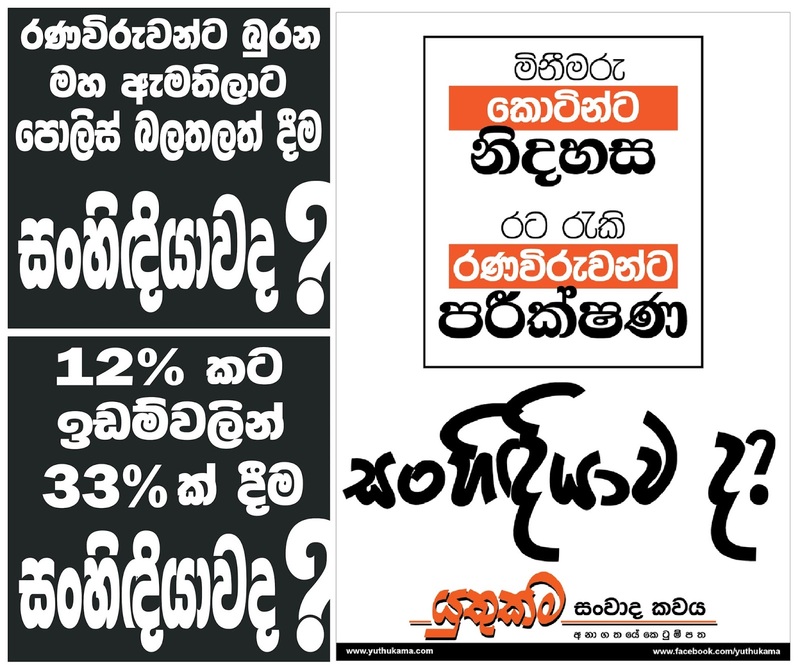 ඇත්තටම කොටි ත්‍රස්තවාදී න්? විරුවන්ද? දෙමළ ජනතාව විසින් කොටි සාමාජිකයන්ව විරුවන් විදිහට සමරන නිසා ඒ අය ත්‍රස්තවාදීන් ලෙස නම් කරන්නට අපි කවුදැයි නිර්මාල් මහතා අපෙන් අසයි. ඇත්තටම විරුවන් හා ත්‍රස්තවාදීන් වෙන් කර ගැනීමට විදිහක් නැද්ද? මහ විරු සමරු උත්සවශ්‍රීයෙන් සමරන්නට ඉඩ ලබා දිය යුතුද? අනාගතයේ දී ප්‍රභාකරන් සැමරීමට අවකාශය ලබා දිය යුතුද? මේ සඳහා මම යොදාගන්නේ, දමිළ බුද්ධිමතෙක් වුණු මුතුක්‍රිෂ්ණා සර්වනාදන් මහතාගේ අදහසකි. කොටි සංවිධානය ත්‍රස්තයන්ද නිදහස් ගරිල්ලන්ද යන ප්‍රශ්නය විසඳා දෙනවා ඒ මහතා බොහෝම අපූරුවට. 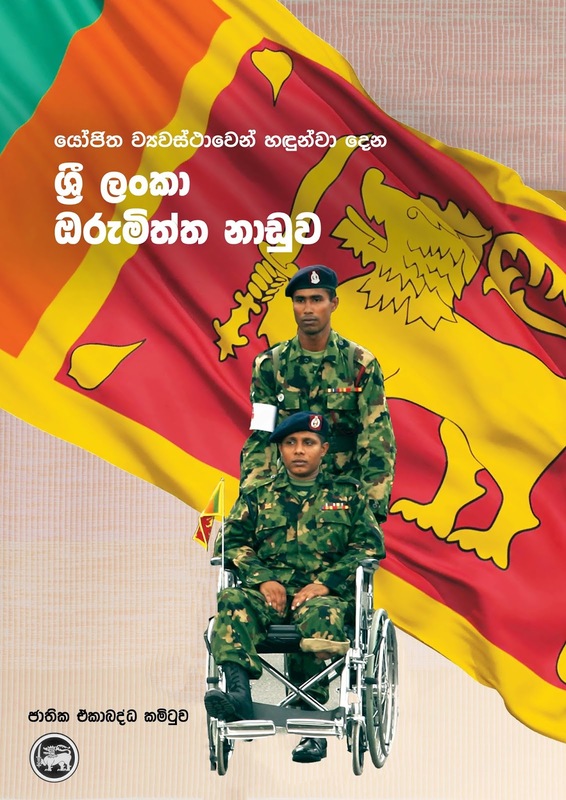 මේ පිළිතුර ලබා දී තිබෙන්නේ Stokke කියන නෝර්වේජියානු පර්යේෂකයෙක්ට 2007 දීයි. There is a growing interest in the distinction between ‘freedom fighters’ a ‘terrorists’ in the aftermath of the 9/11 attacks in the USA in 2001 (for example, see Bhatia, 2005: passim; Policzer, 2005). Stokke (p 1019) tends to regard the LTTE as a movement of freedom fighters in the same mould as South Africa’s African National Congress (ANC). In my view the basic distinction between liberation struggles and terrorism rests with the different means of achieving an end. Although both, liberation struggles and terrorist struggles, may head towards the same end, it is how (or the means by which) they arrive at their predetermined end which distinguishes between the two. In the real world all liberation struggles and terrorist struggles have a combination of both legitimate acts of violence and terrorist acts. Nonetheless, while legitimate acts of violence are predominant and terrorist acts are sporadic in liberation struggles, in terrorist struggles terror acts are predominant. Based on this distinction I would regard the ANC and the Sudanese People’s Liberation Army (SPLA) as freedom movements, and the LTTE as a terrorist organisation. This is because in the armed conflict in Sri Lanka the majority of the victims have been civilians.13 In fact, anecdotal evidence suggests that the LTTE has killed more civilians (from all three communities, namely Tamils, Sinhalese and Muslims) than the armed forces personnel, although numbers are unavailable. Further, the LTTE has killed more Tamils than the state security forces, particularly in internecine war among various Tamil militant groups since 1985. The ANC, the Pan Africanist Congress (PAC), and the Inkatha Freedom Party existed side by side during their struggle against the apartheid regime in South Africa. The ANC did not attempt to eliminate PAC or Inkatha and claim to be the authentic or sole representative of the (black) people on whose behalf if was fighting. In this it differed from the , which has proscribed all other Tamil militant groups and continues to hunt them down,and has forcibly liquidated all Tamil democratic political parties, except the TULF. The fundamental fault among most analysts of the Sri Lankan conflict (both national and international) is their false assumption that the LTTE is a liberation movement. It is true that the majority of Tamils (including the author) still regard the Sri Lankan state as a racist state. However, it is also true that the de facto regime of the LTTE in the North and East is even more racist than the Sri Lankan state. The treatment of ethnic minorities, particularly the Muslim community, in the North and East by the LTTE lends credence to our view. It is important to recall at this moment, with shame, how Muslims were evicted from their historical habitats in the North in 1990 and massacred at mosques in the East by the LTTE. A self-proclaimed liberation movement, which does not respect the rights of other minorities living in contested territories, has no moral right to be so-called. 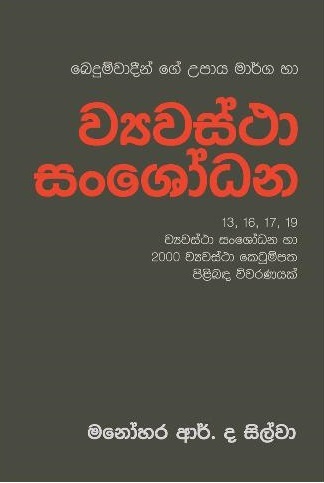 2001 වසරේ දී ඇමරිකාවේ සිදුවූ 9/11 ප්‍රහාරයෙන් පසු නිදහස් සටන්කාමීන් හා ත්‍රස්තවාදී න් යන දෙපාර්ශවය අතර වෙනස කුමක්ද යන්න පිළිබඳව සොයා බැලීමට බොහෝ දෙනා පෙළඹී තිබේ. නෝවේජියානු පර්යේෂකයෙකු වන Stokke විසින් කොටි සංවිධානය හඳුනාගන්නේ දකුණු අප්‍රිකාවේ නෙල්සන් මැන්ඩෙලා ගේ අප්‍රිකානු කොන්ග්‍රසයට සමාන නිදහස් අරගලකරුවන් පිරිසක් ලෙසයි. මගේ අදහස නම් නිදහස් අරගලයක් හා ත්‍රස්තවාදය අතර මූලික වෙනස ඇත්තේ අවසාන ඉලක්කය සපුරා ගැනීමට දෙපාර්ශවය විසින් යොදා ගන්නා ක්‍රමය මතයි. නිදහස් අරගල හා ත්‍රස්තවාදී ව්‍යාපාර යන දෙකම එකම අරමුණක, වෙනම රටක්, කරා ගියත් ඒ සඳහා භාවිතා කරන මාර්ගය අනුව ත්‍රස්තවාදය හා නිදහස් අරගලය අතර වෙනස දැක බලාගන්නට පුළුවනි. සැබෑ ලෝකයේ දී නිදහස් අරගල හා ත්‍රස්තවාදී ව්‍යාපාර යන දෙවර්ගයේම නීත්‍යානුකූල හමුදා ක්‍රියා හා ත්‍රස්ත ක්‍රියා ඇතුළත් වේ. කෙසේ වෙතත් නිදහස් අරගලයන් හිදී නීත්‍යානුකුල හමුදා ක්‍රියා බහුල වන අතර ත්‍රස්ත ක්‍රියා විරළ වේ. 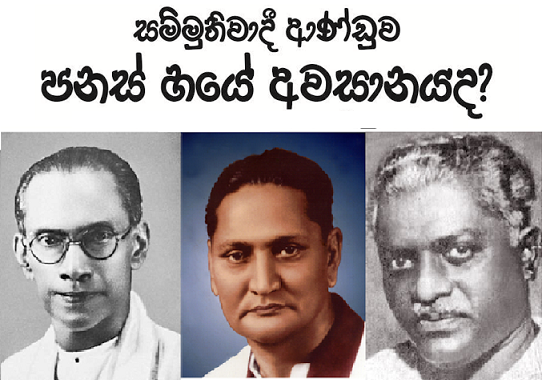 ත්‍රස්තවාදී ව්‍යාපාරයක බහුල වන්නේ ත්‍රස්ත ක්‍රියායි. මෙම වෙනස්කම මත නෙල්සන් මැන්ඩෙලාගේ අප්‍රිකානු කොන්ග්‍රසය හා සුඩාන ගරිල්ලන් නිදහස් අරගලකරුවන් වන අතර කොටි සංවිධානය ත්‍රස්ත සංවිධානයක් වේ. ඊට හේතුව ශ්‍රී ලංකාවේ යුද්ධයේ දී වින්දිතයන් බහුතරය සාමාන්‍ය ජනතාව වේ. පවතින සාක්ෂි පෙන්වා දෙන ආකාරයට ජනවර්ග තුනේම ( දෙමළ, සිංහල හා මුස්ලිම්) සිවිල් වැසියන් බහුලවම ඝාතනය කර ඇත්තේ කොටි සංවිධානය විසිනි. එමෙන්ම රජයේ ආරක්ෂක අංශ විසින් ඝාතනය කළාටත් වඩා වැඩි ප්‍රමාණයකින් දමිළ ජනතාව ඝාතනය කළේ කොටි සංවිධානයයි. 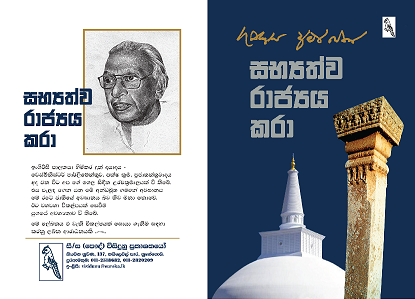 විශේෂයෙන් 1985 සිට දමිළ සංවිධාන අතර පැවති සටන් තුළින් දමිළ ජාතිකයන් බොහෝ පිරිසක් ඝාතනය කළේ කොටි සංවිධානයයි. මැන්ඩෙලාගේ දකුණු අප්‍රිකානු ජාතික කොන්ග්‍රසය සිය නිදහස දිනා ගැනීමේ සටනේ දී අනෙකුත් සටන් සංවිධාන විනාශ කළේ නැති අතර ඔවුන් හා සහයෝගයෙන් කටයුතු කළේය. කොන්ග්‍රසය විසින් අනෙක් සංවිධාන විනාශ කර දමා දකුණු අප්‍රිකාවේ කළු ජාතිකයන්ගේ එකම නියෝජිතයා වීමේ වුවමනාවකින් පෙළුනේ නැත. ඊට සහමුලින්ම වෙනස් වූ කොටි සංවිධානය අනෙකුත් සියළු දමිළ හමුදා සංවිධාන විනාශ කර දැමීය. ප්‍රභාකරන් ගේ අන්තිම දවස වන තුරු කොටි සංවිධානය විසින් අනෙකුත් දෙමළ සංවිධාන විනාශ කිරීමට උත්සාහ ගත්තේය. ඒ අනුව සියළු දෙමළ දේශපාලන පක්ෂ විනාශ කර දැමීමට ප්‍රභාකරන් කටයුතු කළේය. 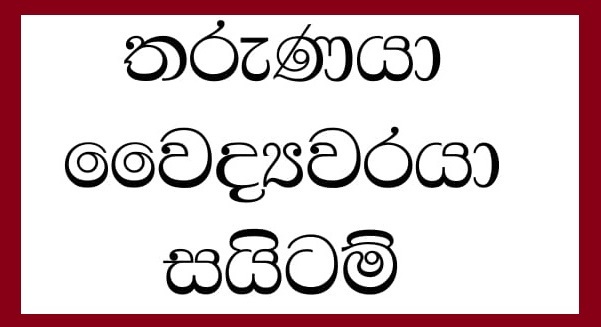 ශ්‍රී ලංකාවේ අර්බුධය සම්බන්ධයෙන් හදාරන බොහෝ විචාරකයින් විසින් කරන වරද නම් කොටි සංවිධානය යනු නිදහස් අරගලයක් ලෙස ඉතා වැරදි ලෙස අනුමාන කිරීමයි. කතුවරයා වන මුතුකරුප්පන් සරවනමුත්තු මහතා ඇතුළුව බොහෝ දමිළ ජාතිකයන් ශ්‍රී ලංකා රාජ්‍යය සළකන්නේ ජාතිවාදී රාජ්‍යයක් ලෙසයි. නමුත් කොටි සංවිධානය විසින් පවත්වා ගෙන ගිය ඊළාම් රාජ්‍යය, ශ්‍රී ලංකා රාජ්‍යය ටත් වඩා බෙහෙවින් ජාතිවාදීවේ. කොටි සංවිධානය විසින් උතුරු නැගෙනහිර ජීවත් වූ සුළු වාර්ගික ප්‍රජාවට සැළකූ ආකාරය සිතා බැලිය යුතුයි. මුස්ලිම් ජනතාව උතුරු පළාතේ ඔවුන්ගේ ඓතිහාසික ගම්බිම් වලින් කොටි සංවිධානය විසින් 1990 දී ඉතා නින්දිත ආකාරයට පිටමං කළ අතරම නැගෙනහිර පළාතේ දී මුස්ලිම් පල්ලි තුළ ජනතාව මරා දැමීය. නිදහස් අරගල කරුවන් ලෙස තමා විසින්ම හඳුන්වාගන්නා සංවිධානයක් විසින් තම ප්‍රදේශ තුළ ජීවත් වන සුළු වාර්ගික ජනතාවගේ අයිතියට ගරු නොකරන්නේ නම් , එම සංවිධානයට නිදහස් අරගල කරුවන් ලෙස තමන් හඳුන්වා ගැනීමට අයිතියක් නොමැති බවයි මගේ අදහස. මුතුක්‍රිෂ්ණා සරවනමුත්තු මහතගේ අදහස් සමඟ මේ සටහන ලියන මම ද එකඟ වෙන අතර තවත් කරුණු එකතු කරන්නට කැමැත්තෙමි. කොටි සංවිධානය ත්‍රස්ත සංවිධානයක් ලෙස නිවැරදිව අර්ථ දක්වන්නට පුළුවන් වීමට තවත් හේතු රාශියක් තිබේ. වෙනම රටක් දිනාගන්නට කළ යුද්ධයේ දී කොටි සංවිධානය අති විශාල ලෙස දමිළ ජාතිකයන්වම මරා දැම්ම අතර ඒ ඉලක්කය වෙත ගිය අනෙකුත් දමිළ සංවිධාන සමූල ඝාතනය කළා පමණක් නොව දෙමළ දේශපාලකයින්වද මරා දැමූහ. විරුවන්ට හා නිදහස් අරගල කරුවන්ට පුළුවනි ද තමන්ගේ ජනතාවම ඒ විදිහට මරා දමන්න? අන්තිමට දෙමළ දේශපාලකයින්ට සිදුවූයේ තමාව පෙළන ‘සිංහල’ රජයෙන්ම රැකවරණය ඉල්ලා සිටින්නටයි. කොටි සංවිධානය අද සිටිනවා නම්, විග්නේෂ්වරන්ට උතුරේ මහ ඇමතිධූරය දැරිය හැකිද? 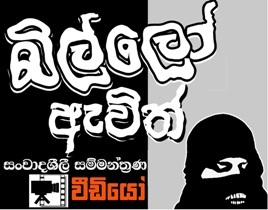 සම්පන්ධන්ට නායකත්වය දිය හැකිද? දමිළ නායකයින්ට උතුරට ගොසින් රිසි සේ දේශපාලනය කරන්නට ඔය කියන දෙමළ විරුවන් මරා දමන්නටම අවශ්‍යය වූයේ ඇයි? වසර 30 ක කාලය තුළ උතුරට හා වන්නියට ආහාර, බෙහෙත් ද්‍රව්‍යය යැව්වේ කවුරුන්ද? 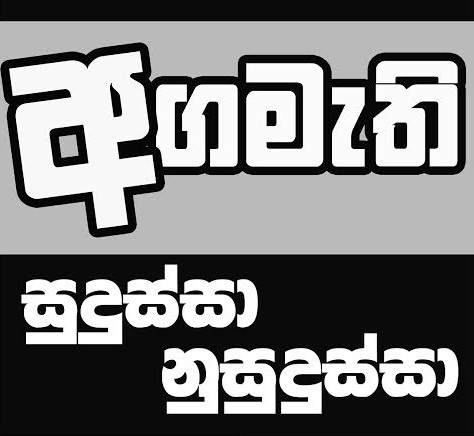 ශ්‍රී ලංකා රජය නොවේද? මෙසේ එවන භාණ්ඩ වලින් වැඩි කොටසක් කොටි සංවිධානය විසින් සොරා ගන්නා බව දැන දැන එහෙත් දෙමළ ජනතාවට එම භාණ්ඩ එව්වෙ රජය නේද? කුමන ආකාරයේ විරුවන් ද තමන්ගේ ජනතාව කන දෙයත් සොරකම් කරන්නේ? 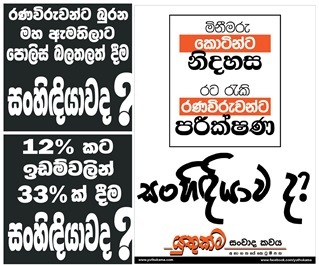 විඳ දරාගත නොහැකි බදු ගසන්නේ? මොන රජය ද මේ ආකාරයට අලාභ හා අවාසි විඳගෙන ආහාර බෙහෙත් ද්‍රව්‍යය යවන්නේ? උතුරේ හා කොටි පාලන පෙදෙස් තුළද අධ්‍යාපනයට හා සෞඛ්‍ය සේවාවට මුදල් වැය කළේ ශ්‍රී ලංකා රජය නොවේද? නිදහස් අරගල කරුවන්ට එම සේවාවන් ජනතාවට ලබා දීමට වුවමනාවක් හෝ තිබුණේ ද? 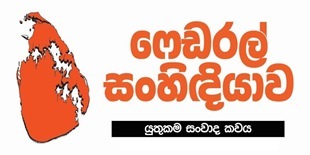 2000 වසරේ යාපනය අර්ධ ද්වීපය කොටි තර්ජනයට ලක්වූ අවස්ථාවේ දී උතුරට භාණ්ඩ ප්‍රවාහනය කිරීම සම්බන්ධයෙන් විශාල ගැටළුවක් ඇති වුණි. 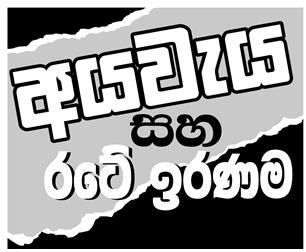 ආහාර ප්‍රවාහනය කරන රතු කුරුස නැවකට පවා ආරක්ෂාව සහතික කිරීමට නොහැකි යැයි ප්‍රභාකරන් කීවා මතකද? කුමන විරුවන්ද තමන්ගේ ජනතාව කුස ගින්නේ තබන්නේ? 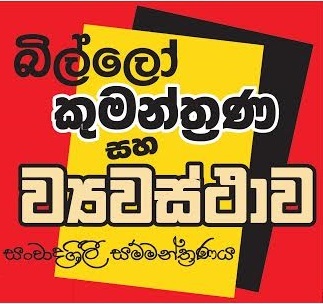 2009 සළකා බලමු. ජාත්‍යන්තර මැදිහත්වීමකට පාර කපා ගැනීම සඳහා දෙමළ මිනිසුන් ලක්ෂ ගණනක පිරිසක් මිනිස් පලිහක් ලෙස යොදා ගත්තේ කවුරුන් ද? ඒ අයට විරුවන් කිව හැකිද? යුධ පිටියෙන් බේරී යන දෙමළ මිනිසුන්ට වෙඩි තබා නවත්වන්නට කොටින් උත්සාහ කළා නේද? ඒ අයට විරුවන් කිව හැකිද? "Terrorism is the intentional use of, or threat to use, violence against civilians or against civilian targets, in order to attain political aims" according to International Institute for Counter-Terrorism and clearly defines that LTTE is a terrorist organisation.